Discovery upgrade to Defender 90 (D90) brakes - caliper and rotors? Discovery I Talk about the Land Rover Discovery Series I within. I was just wondering what would be involved in said upgrade in using Defender 90 brake components to upgrade the Discovery 1? I have seen some posts talk about moving the existing Discovery front brake callipers to the rear... could someone please explain why this would be done, or if it should be done? I am assuming the existing Disco front brakes would have slightly more stopping power than the existing Disco rear brakes, and give you better all around stopping power with the fronts having the D90 upgrade. IMO the way to go is D110 calipers. Same size and piston soze as D90 only the 110 calipers don't have a spacer between the two halves. What that means is you run regular D1 rotors, not the vented D90 rotors. My experience is the vented D90 rotors gwt clogged up with mud when off roading and is a major pain to clean out. Neither the D1 nor D90 are race cars and really there's no benefit realized by running vented rotors. So D100 calipers, D90/110 pads, and D1 rotors FTW. RedWinch makes brackets to run D1 front calipers in the rear, but you can't just slap front on the back and drive away. Your proportioning would also be off and most likely need adjustment. 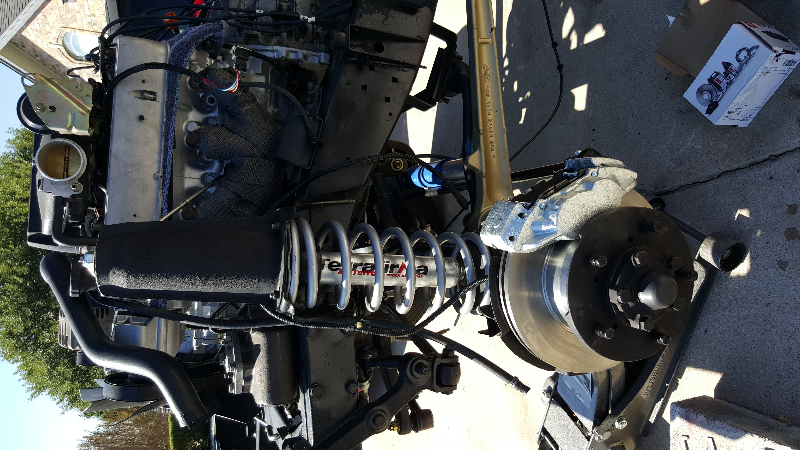 Best bang for the buck is D110 dront upgrade. And you can just get two 12" or 18" straight hardlines with fittings from PepBoys or whatever and bend them to fit. Last edited by fishEH; 10-21-2015 at 06:40 PM. D90/110 calipers have 46mm pots/pistons and also use bigger pads. So D100 calipers, D90/110 pads, and D1 calipers FTW. Thank you for the information and reply. I just want to clarify the above line? D110 calipers, D90/110 pads, and Discovery 1 rotors is what that meant correct? Which series would work, the "up to 1986" as in example 1, example 2, or example 3? I am assuming example 2 with the non-vented rotors? Last edited by archaeology_student; 10-21-2015 at 04:33 PM. Thanks for posting this. I was just researching about this upgrade as its getting time for a brake job. I'd use this for my part number to cross reference. '93 NAS 110. Just did this on my D1, all from rovahfarm. D90 calipers, pads, and vented rotors plus extended SS brake lines. Last edited by TOM R; 10-24-2015 at 02:04 PM. Its not the vented rotors, its the larger caliper pistons and pads. 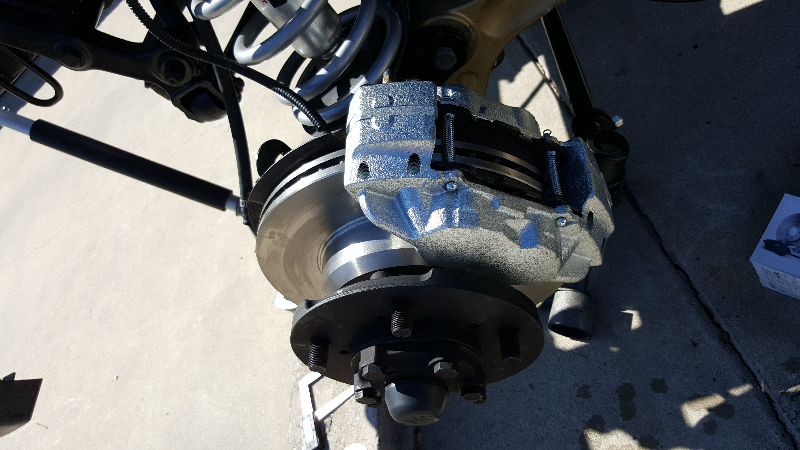 Quick Reply: Discovery upgrade to Defender 90 (D90) brakes - caliper and rotors?